Featuring a wide range of quality new aerial lift equipment, boom lift and scissor lift inventory available at wholesale prices to the public.With hundreds of models we have become the leader in selling aerial lift equipments in whole country. With so many chioces, the versatile Kandokav Machine lift equipments helps you increase productivity and value for your money. 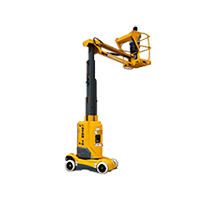 Wide range of lift equipments from all of your favorite manufacturers like Haulotte Group, Barin and Ommelift are available for you. Browse through a selection of our online lift inventory, or call us at (+9821) 44525222 to speak with our aerial lift specialist. 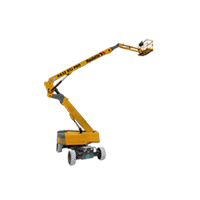 Kandokav Machine lifting equipments give you access to further and higher in workplaces to pass the obstacles. It gives you more mobility and easier maintenance to the higher workplace for loading capacity and people. Wide platform lift gives you access to locations with difficult access. For choosing appropriate lift equipment features such as capacity, safety, work environment, lifting mechanism and cost of the device is important. Haulotte lift equipment in particular is for lifitng people and equipments and it's not for lifting cargo These lifts are made in in two general categories of diesel and electric. Diesel lifts are suitable for open space, such as the shipbuilding yards, roads and buildings construction, repair sites, airports, factories and refineries.Electric lifts are applicable in roofed spaces and working inside the workshop, warehouse and close environments. Kandokav Machine is the exclusive representative of the best brands of man lift manufacturer in the world. World-class manufacturer and supplier for people and material lifting equipment. 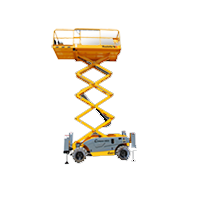 As European leader, the Group designs, manufactures and sells a wide range of products focused on aerial work platforms. OMMELIFT manufactures personal access platforms with a working height between 10.5 m and 42 m within the categories of trailer-mounted lifts and crawler-mounted lifts. BARIN has been working in the field of design and manufacture of bridge inspection units since the sixties. Housing administration, design offices, production and testing facilities. 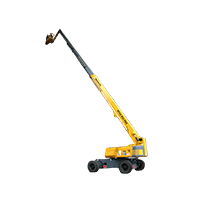 Over time and due to the growing demand for the use of lifts and platforms for work at height, Kandokav Machine company has expanded its services with the widest range of lifting equipment including people articulated and telescopic lift , mast booms, truck lift, Diesel and electric lifts. Special services and commitment to customer's satisfaction enables us to cooperate in trade and industry, construction, maintenance and logistics of many private companies and government departments. We recognize the need of our customers to each kind of people and material lift equipments with our specially trained experts around our beloved homeland.In recent years, Kandokav Machine according to its power and reputation has been determined in the market by offering the best brands lifts in the world to their precious customers. Kandokav Machine company is one of the leading companies in the lift industry and is the fastest growing provider of all kind of people and material lift. Sales staff are also ready to provide advice and recommend the best model of lifts to you. Measuring from 12 to 41m, our references of articulated boom lift (or articulating boom) take you where you want to be for maintenance, installation or pruning work. Diesel or electric powered, they get round tricky obstacles thanks to their geometry and long reach. Articulating booms of less than 20m are capable of negotiating restricted spaces, thanks to the size of their chassis which is adapted to allow rotation within the vehicle clearance. Large platforms ranging from 6m to 18.5m working height, Haulotte scissor lifts find their uses in many different fields: Construction and Public Works, cleaning, events and more... Compact for easy access to narrow spaces, equipped with Rough Terrain diesel for outside applications or silent Electric for interior use, the platform capacity of Haulotte scissor lift ranges from 230kg to 700kg. The articulated series of OMME LIFT crawler lifts considerably extends the applications. The ground clearance from the articulated boom and the outreach from the telescope make it possible to overcome obstacles and to reach the tasks.The telescopic series of OMMELIFT crawler lifts reaches new heights. Our telescopic lifts make it possible to reach tasks, otherwise out of reach and also to keep the lift weight to a minimum. The crawler propulsion, moreover, ensures a high manoeuvrability and an optimal weight distribution. The specially designed stabilizers give the lift optimal set up abilities - on slopes up tp 40%. The multiple possibilities for use at heights of between 9,9 and 18,7 metres, both indoors and outdoors, makes trailers the most popular type of platform with skilled tradesmen and local communities. Their compactness and lightweight, allow them to be towed to any site, where their stabilizers correct uneven ground levels. Trailers exist in both articulated and telescopic versions. The Haulotte vertical mast boom is the ideal platform for difficult- to-reach places. Telescopic masts climb directly to a working height of 6 to 12m (low range of rotation). Intended mainly for maintenance work and warehouse inventories, the vertical mast boom references can be used both outdoors and indoors, where their white tyres do not leave marks and respect all types of floor surface. Push Around Platform Light, compact and designed for fragile floor-surfaces, this type of electric platform is for indoor use. They rise to between 7 and 14 m in height. They are ultra-light and easily transportable, even in a van. Haulotte telehandler offers maximum stability (obtained by locking the rear axle, thus solidifying the chassis) unmatchable handiness giving operational flexibility, progressiveness and precision: in addition to its wealth of on-board technology the Haulotte telescopic handler is also endowed with the power of a diesel engine and the versatility of its many accessories. Its general ergonomics improve visibility and allow easy maintenance. Our number one priority to ensure the safety of users and operators of lifts and safety in the workplace in accordance with the labor laws and workplace. All safety instructions of devices is provided with a lift to the buyer and lifting devices should be used only by trained operators. Safety and work instructions must always be included in the box that is embedded in the basket of lifting deviceand it has to be possible to access to these instructions In an emergency. Copyright © 2017 Kandokav Machine Company. All rights reserved.